Year 1999, 2000, 2001, 2002, 2003, 2004, 2005, 2006. Brake light switch under the brake pedal for Alfa Romeo 147. Submitted by 147 of a manual built in 2001. The switch has a Brown collar for the plug co..
Used cooling water fitting directly on the engine block. Is a aluminum casting. This cooling water main is teopasbaar on the Punto HGT 1.8 16V and Alf..
ESP sensor for mounting under the dashboard of Fiat Stilo. Applied to all Stilo's that are equipped with Electronic stability control. Submitted ..
Handbrake indication switch for installation under the parking brake lever for Fiat Stilo in-execution. Submitted by a-Stilo Abarth 2.4 with Sele..
MAF for various models of Fiat, Lancia and Alfa Romeo. Submitted by a Fiat Bravo 1.6 Multijet diesel by built in 2007. 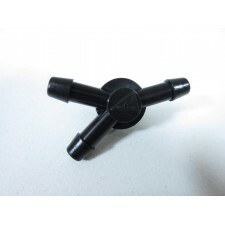 The air mass meter is tested an..
Repair Kit for the wiper mechanism for Fiat Punto type II including the facelift model. Built from 1999 to 2006, but only model II Punto, not suitable..
Rubber seal for waterproof finish of the Ruitenwisserarm on the tailgate for Fiat Punto II. 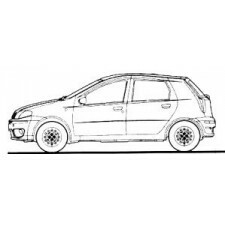 Submitted by a Fiat Punto in-execution of construction yea..